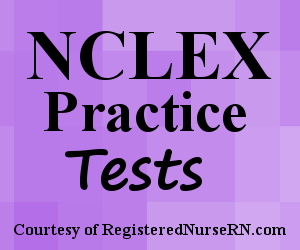 This is a quiz that contains NCLEX questions for myocardial infarction (MI). A myocardial infarction happens when there is not enough blood flow to the heart muscle which causes cells to die. When heart muscle cells die the affected area of tissue becomes necrotic. This can lead to complications such as pericarditis, heart failure, rupture, and more. As the nurse, it is important to know how to care for a patient who has experienced a myocardial infarction. In addition, the nurse needs to be aware of the causes, signs and symptoms, medications, and nursing interventions for MI. This quiz will test your knowledge about myocardial infarction (MI) for the NCLEX exam. A. Coronary artery dissection can happen spontaneously and occurs more in women. B. The most common cause of a myocardial infarction is a coronary spasm from illicit drug use or hypertension. C. Patients who have coronary artery disease are at high risk for developing a myocardial infarction. D. Both A and B are incorrect. A. A blockage in the left coronary artery causes the least amount of damage to the heart muscle. B. Left coronary artery blockages can cause anterior wall death which affects the left ventricle. C. Left coronary artery blockage can cause posterior wall death which affects the right ventricle. D. The left anterior descending artery is least likely to be affected by coronary artery disease. A. Hold further doses of Nitroglycerin and notify the doctor immediately for further orders. B. Administer Morphine IV and place the patient in reverse Trendelenburg position. C. Administer Nitroglycerin and monitor the patient’s blood pressure. D. All the options are incorrect. A. "I will take this medication at night." B. "I will take this medication as needed." C. "I will monitor my heart rate and blood pressure while taking this medication." D. "I will take this medication in the morning with grapefruit juice." You’re educating a patient about the causes of a myocardial infarction. Which statement by the patient indicates they misunderstood your teaching and requires you to re-educate them? 2. You note in the patient’s chart that the patient recently had a myocardial infarction due to a blockage in the left coronary artery. You know that which of the following is true about this type of blockage? 3. A patient is 36 hours status post a myocardial infarction. The patient is starting to complain of chest pain when they lay flat or cough. You note on auscultation of the heart a grating, harsh sound. What complication is this patient mostly likely suffering from? 4. After a myocardial infraction, at what time (approximately) do the macrophages present at the site of injury to perform granulation of the tissue? 5. 24-36 hours after a myocardial infarction _________ congregate at the site during the inflammation phase. 6. A patient is complaining of chest pain. You obtain a 12-lead EKG and see ST elevation in leads II, III, AVF. What area of the heart does this represent? 7. On an EKG, the lateral view of the heart is represented with leads? 8. A patient is admitted with chest pain to the ER. The patient has been in the ER for 5 hours and is being admitted to your unit for overnight observation. From the options below, what is the most IMPORTANT information to know about this patient at this time? 9. A doctor has ordered cardiac enzymes on a patient being admitted with chest pain. You know that _________ levels elevate 2-4 hours after injury to the heart and is the most regarded marker by providers. 11. In regards to the patient in the previous question, after administering the first dose of Nitroglycerin sublingual the patient’s blood pressure is now 68/48. The patient is still having chest pain and T-wave inversion on the cardiac monitor. What is your next nursing intervention? 12. A patient recovering from a myocardial infarction is complaining of the taste of blood in their mouth. On assessment, you note there is bleeding on the anterior gums. Which medication can cause this? 13. A patient is on a Heparin drip post myocardial infarction. The patient has been on the drip for 4 days. You are assessing the patient’s morning lab work. Which of the following findings in the patient’s lab work is a potential life-threatening complication of heparin therapy and requires intervention? 14. A patient is experiencing Heparin-Induced Thrombocytopenia from heparin therapy. The doctor orders Heparin to be discontinued. The patient will most likely be placed on what other medication? 15. A patient taking Lovenox is having a severe reaction. What is the antidote for this medication? 16. A patient is being discharged home after receiving treatment for a myocardial infarction. The patient will be taking Coreg. What statement by the patient demonstrates they understood your education material about this drug? 17. A patient is complaining of a nagging cough that is continuous. Which medication below can cause this side effect? 18. A patient’s morning lab work shows a potassium level of 6.3. The patient’s potassium level yesterday was 4.0 The patient was recently started on new medications for treatment of myocardial infarction. What medication below can cause an increased potassium level?